Ok, so you found us online and you want to try Kepwel Spring Water but you’re not sure if you’re going to like the water or the service. So we thought of a way you could try our great tasting spring water without paying a lot of money. Yippeee! 1. You must already have your own cooler or dispenser. 2. We will schedule and deliver (4) 5 gallon bottles to your home or office. 3. You pay online or over the phone with a Visa or MasterCard. Ok, so how much do I pay? 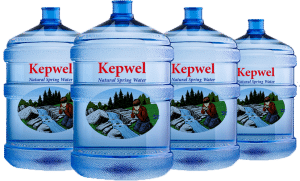 To try the great taste of Kepwel you pay $28.00 for 4 bottles. Read On. Here’s the breakdown. We are asking you to pay $6.00 Per Bottle as a returnable bottle deposit. We are also asking you to pay just $1.00 Per Bottle for each Spring Water. Ok, so where is the savings for me? leaving your total cost to try our great tasting natural spring water just $4.00. 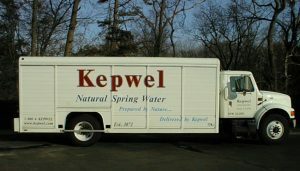 Ok, So how much is it after I discover that I love Kepwel Spring Water? bottles you get delivered until you cancel service. Kepwel only require you take a minimum of 3 bottles per delivery. We Do Not Require you take a delivery every week or every month. If you have your own cooler there are No contracts. Ever. There are some rules. There are always some rules. 1. Minimum initial delivery is 4 bottles. After that we can deliver 3 bottles in case you have the last one on your cooler. 2. If you want to cancel you must call us during business hours within 20 days of your initial delivery to schedule your bottle pick up to receive your bottle deposit refund. 3. Refunds are credited after we pick up your bottles from the address they were delivered. 4. This offer is only good for delivery to homes and offices in our delivery area. 5. Payment can only be made with a Visa , MasterCard or PayPal account. 7. We add a $1.00 delivery fee to every delivery after your trial. Not per bottle. 8. Kepwel reserves the right to Not deliver this trial offer for any reason. If payment is already made a refund will be issued within 20 days.